A grieving Chicago family is outraged after graphic images and video showing their loved one being stabbed to death on a Chicago Red Line train Thursday were posted online, CBS Chicago reports. “My sister was beautiful, gifted young lady. She didn’t deserve to go the way she did,” Lorel Hampton, the victim's sister, told the news station. “This is not a game. This is not a show." 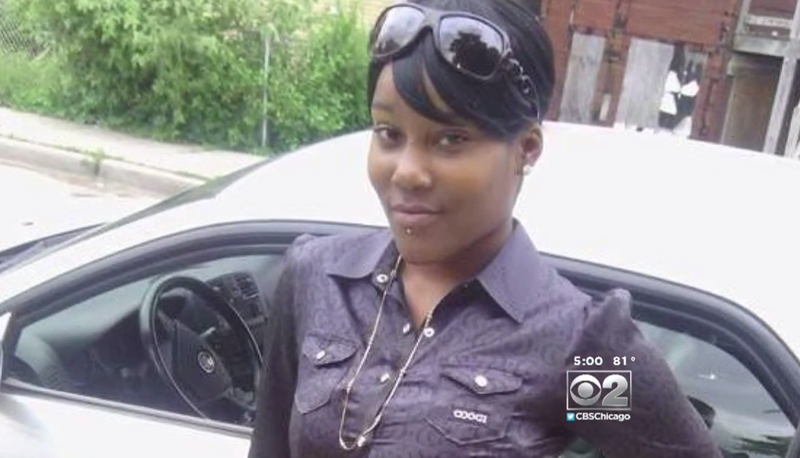 Jessica Hampton, 25, was stabbed to death on a Chicago Transit Authority train after an argument with an unidentified man. Passengers on the train said that the man asked Jessica a question about children, and when she said "No," he stabbed her. Family members say that they do not know anything about the suspect, who was taken into police custody after the stabbing. Jessica, they said, was engaged to be married to another man and was working hard to regain custody of a 6-year-old who is currently in the custody of the Illinois Department of Children and Family Services. "He don't deserve life. He don't deserve to be on this earth," Lorel said of the suspect. The family were further enraged after seeing the footage that appeared to show no one helping Jessica as she was attacked. “Everybody that was there taking pictures, and shooting videos and stuff, didn’t try to help her,” Lorel said. Crisis responder Dawn Valenti said that passengers may have tried to help Jessica after the attack but backed off after seeing the knife. Nonetheless, Valenti slammed those who were spreading the graphic footage. “This family was watching that video yesterday. They were looking at the pictures on Facebook that people were spreading, not knowing until 9 o’clock [Thursday night] that that, in fact, was their loved one that they were looking at,” she said.